✅ Trip Verified | Seats are not comfortable. Screen resolution of the entertainment unit is not good. Entertainment options are limited. Food lacks variety and flavour. Toiletries in the toilet is limited. 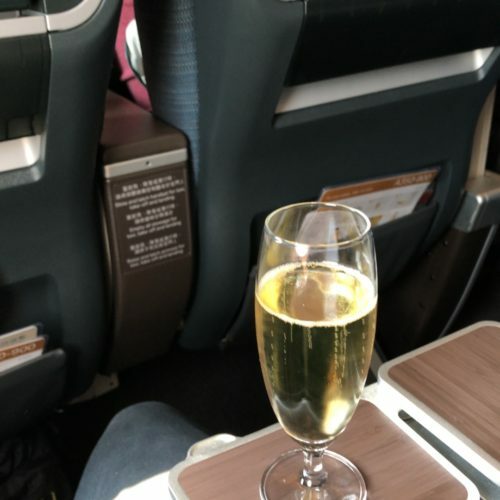 ✅ Trip Verified | The 3x4x3 seating arrangement on the Cathay Pacific Boeing 777, Colombo to Hong Kong; and Hong Kong to San Francisco B777 flights were quite uncomfortable due to the limited leg room, recline, shoulder space, and aisle space. "no longer a premium airline"
✅ Trip Verified | Found the new 3-4-3 configuration in the economy class of Cathay Pacific 777-300 a disgrace. Boarding and meal services were extremely slow due to the now narrower aisle and larger passenger number (no extra crew member added). The new seat is uncomfortable with its 17" width and wafer thin seat back. Overstretched ratio of lavatories to passengers means there's always a long queue to use the facilities. And finally the new IFE is extremely difficult to operate. 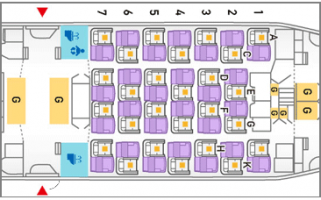 Overall very disappointed with the airline's decision to move towards the 3-4-3 configuration. Cathay Pacific is unfortunately no longer a premium airline. Have been a Marco Polo Club member since 2001. It is time to switch to SQ. ✅ Trip Verified | New A350, enough legroom (32ins seat pitch), wide and comfortable for a long haul flight (18ins), advanced IFE with new HD screen (Panasonic ex3, 11ins), very comfortable 6 way head rest and generous recline with useful little storage nooks. Overall, an outstanding economy class product. ✅ Trip Verified | Boeing 777-300 with spacious seat and legroom. 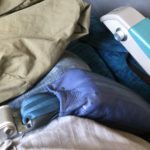 This is the first airline I have flown where the seatbelt has a foam padding on one side of the belt and it’s very comfortable for you to rest your hand on. 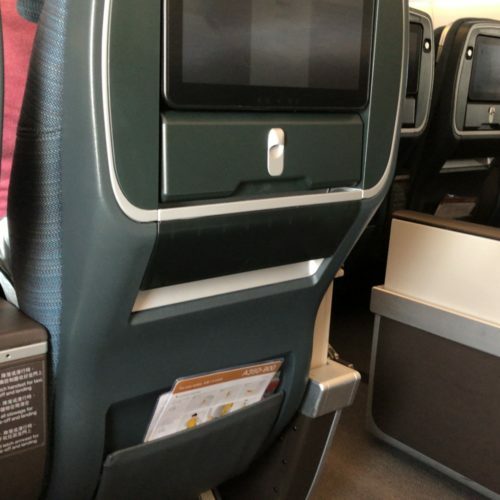 "no airline with worse seats"
Not Verified | There is no airline with worse seats than Cathay Pacific's new ten across 777 seats. 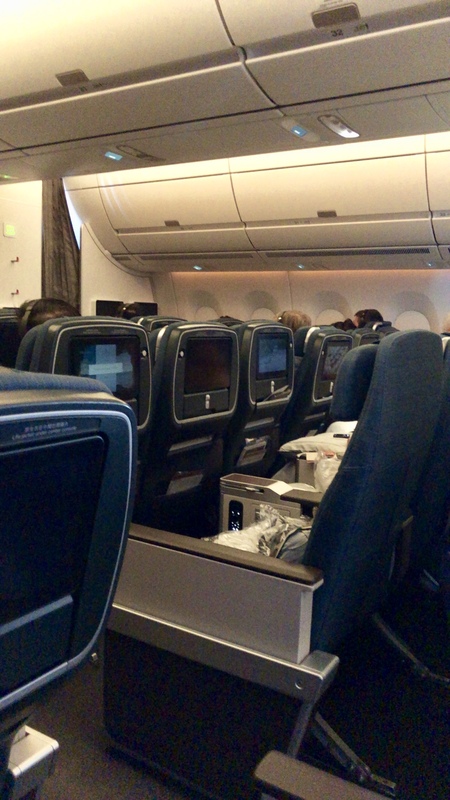 Even by usual ten across 777 seating they are cramped. Furthermore the leg room is poor. 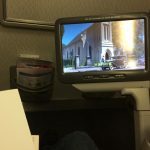 I have not flown on any airline (including all low costs carriers) with such poor seats. ✅ Trip Verified | Quite a narrow seat for Premium Economy. I was lucky enough not to have anyone in the seat next to mine. Seat pitch was fine, although not so good when the passenger in front reclined for the entire flight. The leg room was fine as were the pillow and blanket. "lot of pressure on your lower legs"
✅ Trip Verified | Bangkok to Hong Kong on Cathay A350. The boarding process went smoothly and felt very welcomed by the FAs upon boarding. The entertainment system and mood lighting made for a relaxing experience and the food was quite pleasant, definitely well above average. The seat did feel a bit cramped but in today's industry this is the standard for economy, also on the A350 the seat is comfortable at first sit in but after an hour or so especially with the seat reclining and bottom portion sliding forward, it really puts a lot of pressure on your lower legs and made my legs cramped and entire lower area numb. 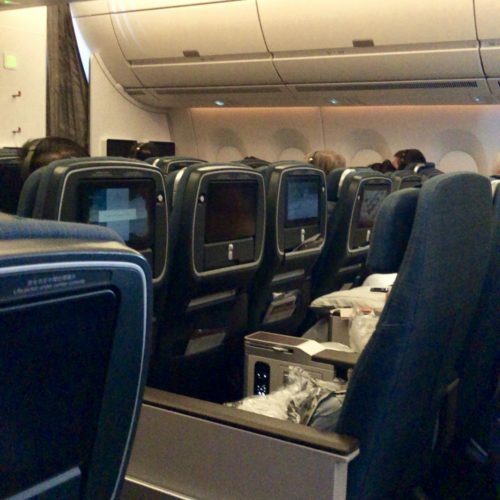 On my next segment to JFK on 777-300ER this was not an issue for the 14 hour flight, the 777s seats proved superior. 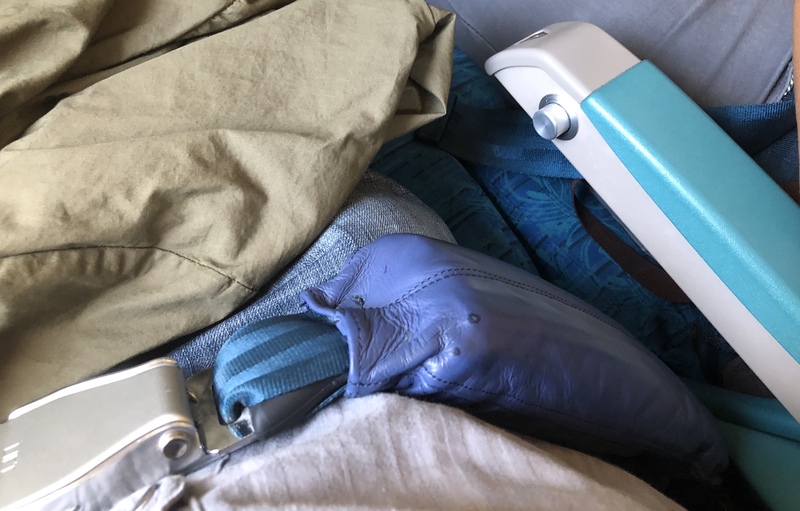 ✅ Trip Verified | Seats were very comfortable for a 14 hour flight, the 3x3x3 layout that Cathay uses is far more spacious than the 3x4x3 of many airlines. I felt comfortable moving around in my seat and getting some sleep. My bottom area or legs were not sore at any point which normally always happens. The entertainment system was also good, plenty of movies and shows to watch. 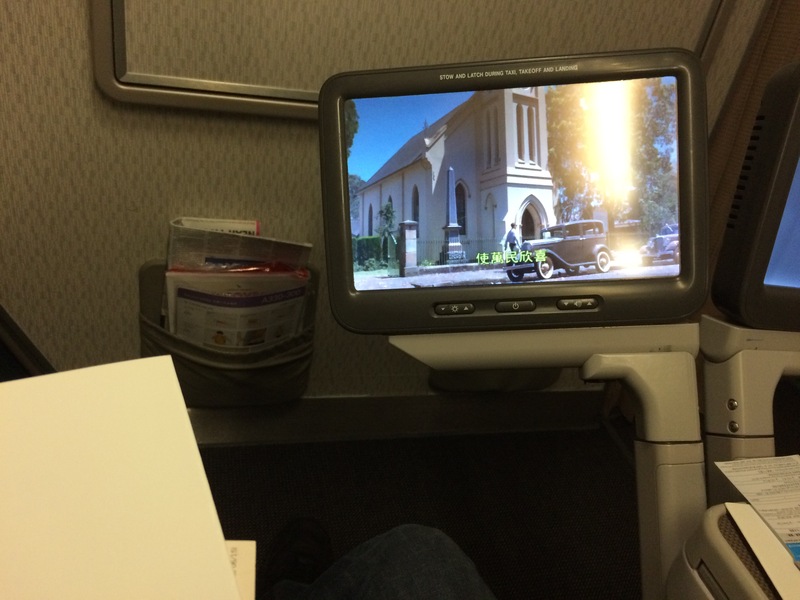 The IFE wasn't on par with Qatar or Emirates but still was well above average and I always had something to do. The food service was also spectacular, quick, efficient and tasted pretty good.